Amanda Boxtel’s 3D printed exoskeleton in her own words. Watch Amanda’s journey by clicking here ! 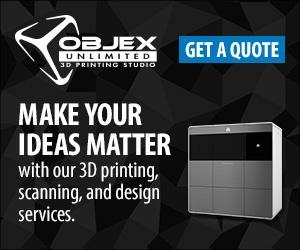 Objex Unlimited is a 3D printing studio located in Toronto. We take pride in all of our products and services, offering the newest, and highest quality methods of production. With a highly skilled team of trained individuals we have no doubt that we can offer your business alternatives, which will save you work, time, and money. We use advanced 3D Printing Technology to produce Rapid Prototypes and highly detailed Concept Models directly from CAD Drawings. We can bring your CAD designs to life by creating real parts you can use and models that you can hold in your hand. Our commitment to you is to deliver in DAYS. Don’t let prototype production hold up your design cycle. Objex Unlimited is an Authorized Distributor of Artec 3D Scanners and 3D Systems Professional 3D Printers. https://objexunlimited.com/objexunlimited/wp-content/uploads/2017/11/OBJEX_LOGO_WHITE_17-copy.png 0 0 Objex Unlimited https://objexunlimited.com/objexunlimited/wp-content/uploads/2017/11/OBJEX_LOGO_WHITE_17-copy.png Objex Unlimited2014-03-31 20:11:022014-04-24 21:41:23Amanda Boxtel’s 3D printed exoskeleton in her own words. ROCK HILL, South Carolina – March 31, 2014 – 3D Systems (NYSE:DDD) today announced the three winners of the 3D Design Award for the 2014 Scholastic Art & Writing Awards. The 3D Design Award, which exemplifies the Scholastic Award’s “Future New” category, inspires students to use 3D design and printing tools to create innovative art. The Scholastic Art & Writing Awards are the nation’s longest-running and most prestigious award and recognition program for creative students in grades 7–12, and this year received more then 255,000 submissions for the program’s 28 categories, which include everything from Future New, comic art, video game design and flash fiction to the more traditional mediums of poetry and sculpture. The “Future New” category evaluates the originality, technical skill, and the emergence of personal vision or voice through the 3D printed designs. The winners are offered a choice between a $1,000 scholarship or their own Cube® home 3D printer. Eric Voorhis created “Visual Representations of Audio Files” by various musical artists using 3D printing software. He converted mp3 music into a visual 2D plane, presenting a final image containing millions of pixels composed into static white noise. His three 3D static blocks represent the complexity of sound as an image. Elbert Han designed “Metamorphosis,” a multipurpose accessory that converts from a set of two cufflinks to a cuff bracelet via a system of hinging magnets. The goal of this piece is to create a versatile accessory that could transition from a formal to casual setting, giving the wearer the freedom to sport this accessory regardless of the situation in which they find themselves. 3DS has partnered with the Alliance for Young Artists & Writers, the nonprofit presenter of the Scholastic Art & Writing Awards, since 2012 with a joint mission to provide 21st century tools of expression and to challenge today’s students and tomorrow’s artists, designers, entrepreneurs and leaders to think and create in new, bold directions. 3DS provides free access to its consumer design tools for students to create their work in 3D. To learn more about 3DS’ commitment to education and providing today’s students with tomorrow’s technology, visitwww.cubify.com/education. 3D Systems (NYSE:DDD) today announced it will be exhibiting at Baselworld 2014, the world’s most important watch and jewelry show, from March 27–April 3, 2014 in Basel, Switzerland. In partnership with resellers from around the world, 3D Systems will be showing the 150,000 attendees how digital design and 3D printing can accelerate jewelers’ production processes and business models. 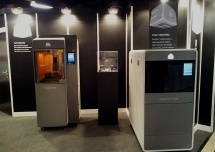 3D Systems will be located in Hall 4U, Stand A01, at the Messe Basel, with six of its resellers in attendance to demonstrate a range of 3D-printed jewelry and watchmaking technologies: Almera from Turkey, Prototek/Selitek from Italy, Miradurfrom China, Steiner from Switzerland, Shree Rapid Technologies from India, and Westcam from Austria. Together these companies will explain and demonstrate how 3D PRINTING 2.0 allows jewelry designers and manufacturers to improve product quality, shorten product time-to-market, and reduce costs. Visitors to BaselWorld will be able to get an up-close look at the new ProJet 1200 micro-SLA printer, ideal for fast, accurate creation of small but very detailed 3D-printed jewelry casting patterns. In addition, visitors can see the ProJet 3500 3Dprinter range for creation of RealWax and ProCast casting patterns, micro and specialty investment casting. For larger-scale casting the ProJet 6000 SLA printer will be on hand to show mass-production of the most complex, high-precision casting patterns for industrial uses. 3D Systems’ Geomagic Freeform organic sculpting and design tools will be on display for attendees to experience, as well as direct metal sintered parts. 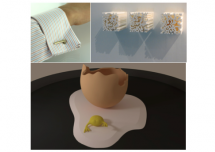 The O.D.D.Shoppe is bringing 3D printed O.D.D.Goods to your home. These O.D.D.Goods are from the realms of artistic, geeky, stylish, and beauty. 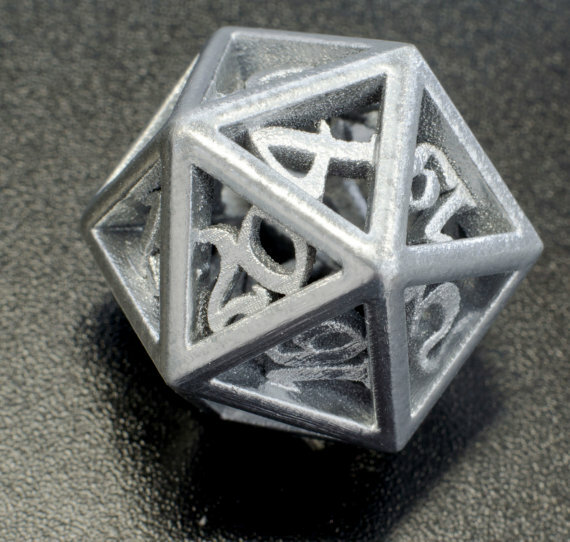 Some of their most successful products include their beautiful, stylish, and precious metal hollow D20s (20-sided die) and LifeCount (the Magic Gathering life counter). They also offer custom board game pieces and costume props. The O.D.D.Shoppe is always making new wonderful goods and loves to bring people’s imagination to life through 3D printing. They would love to hear what goods you think they should create next and they take any requests to design the very best O.D.D.Goods for you! O.D.D.Shoppe is currently selling and operating out of Etsy. You can find the OD.D.Shoppe store at https://www.etsy.com/ca/shop/ODDStore. Check them out today and like their Facebook Page https://www.facebook.com/oddshoppe! The term “haptic” is the name for… A new cholesterol medication? The newly discovered 64th moon of Jupiter? A line of skin care products developed by French chemists? At the same time, higher end haptic devices are powering a number of true-to-life virtual medical training, research and therapy applications. The Geomagic Touch by 3D Systems is one of the original devices, created by Sensable in the late 90s. Geomagic Touch provides force feedback when users interact with 3D objects, so doctors can more realistically simulate surgical procedures, dental students can practice on lifelike virtual models, and researchers can “touch” molecular models. 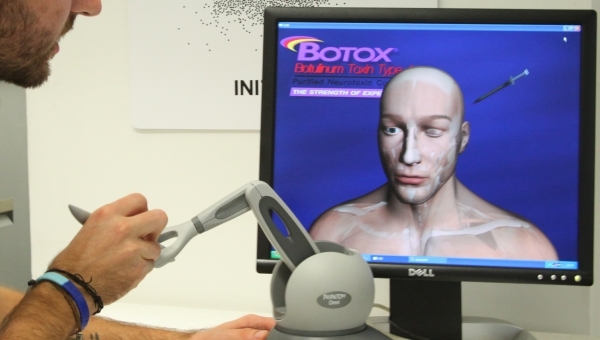 Inition has featured a number of haptic device applications, which include a wide range of medical training uses, like Virtual Botox. Click here to learn about more of the 3DS haptic device applications used and developed by Inition. https://objexunlimited.com/objexunlimited/wp-content/uploads/2017/11/OBJEX_LOGO_WHITE_17-copy.png 0 0 Objex Unlimited https://objexunlimited.com/objexunlimited/wp-content/uploads/2017/11/OBJEX_LOGO_WHITE_17-copy.png Objex Unlimited2014-03-26 17:35:252014-04-24 21:42:11Got Haptics? ROCK HILL, South Carolina – March 25, 2014 – 3D Systems (NYSE:DDD) today announced that its ProJet® 3510 MP 3D printer and proprietary VisiJet® Stoneplast dental materials are now also available for use with3Shape Implant Studio™, allowing dental professionals to output accurate and fully functional dental implant drill guides that are designed using the 3Shape Implant Studio software. Implant Studio is 3Shape’s newest software product for implant planning and surgical guide design. 3Shape Implant Studio will be launched in the EU countries in April 2014. Implant Studio is not available for sale in the US. 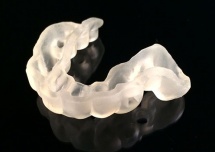 The ProJet 3510 MP uses 3DS’ proprietary Stoneplast dental material in a transparent or opaque build mode. 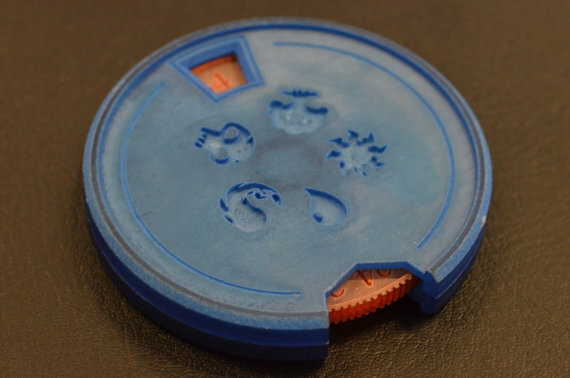 The printed surgical guides are based on ready-to-print, Implant Studio-exported STL models to produce accurate, fully functional surgical guides. “We are very pleased to offer our dental lab customers a proven solution for manufacturing drill guides using 3Shape’s new Implant Studio software, a solution that combines the latest products from two leading providers forming a powerful and affordable manufacturing tool,” said Lee Dockstader, VP Business Development, 3DS. For complete product information on the ProJet 3510 MP dental printers, visit http://www.3dsystems.com/. In its Quality Digest Live webcast, Quality Digest recently featured the new Geomagic Capture Scan-Based Design and Inspection system during a live demonstration. 3D Systems’ Sean Parker was on hand to provide an informative introduction and tour, showing how Geomagic Capture is ushering in a new era of design-to-manufacturing productivity and utility. Click here to see the video. 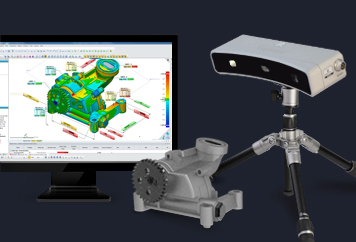 Geomagic Capture enables designers and engineers to incorporate real-world objects into CAD as a seamless part of the engineering workflow. With its affordable combination of precision scanning, Geomagic software and seamless, push-button integration, users can take their design and production workflows to a new level. There are glasses and then there are Mykitas. Each model of beautifully crafted Mykita glasses has a style and look all its own, and even a name (think Chester, Owen, Aretha and Faye) that makes each frame its own character. 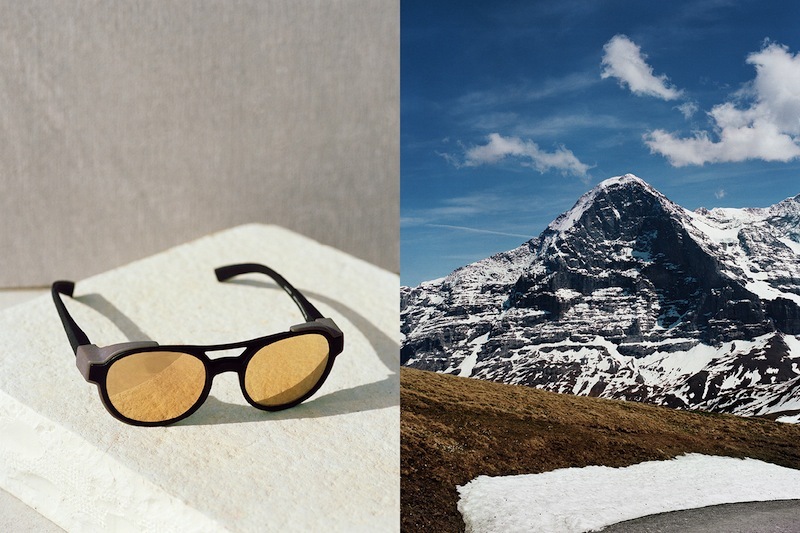 Mykita has already won an iF material award and a Red Dot design award for the manufacturing process of the Mylon collection and the product design, respectively. Click here to see how Mykita creates its Mylon collection. ROCK HILL, South Carolina –March 24, 2014 – 3D Systems (NYSE:DDD) today announced the immediate availability of its previously announcedProJet 1200 micro-SLA printer and commencement of customer shipments. This affordable, safe micro-SLA 3D printer is capable of producing small, precise, detail-rich parts and casting patterns and ideal for fine jewelry, electronic components and dental wax-ups. Smaller than most coffee makers and faster than baking a cake, this new printer is economical to own, safe to operate anywhere and simple to use. It prints accurate ready-to-use parts and castable patterns that cost less than one U.S. dollar. Priced at $4,900, the ProJet 1200 democratizes access to professional-grade 3D printers for jewelers, dental labs, product designers and garage entrepreneurs. With super-fast print speeds and high accuracy of detail, dental labs can print up to 12 precise dental wax ups in under an hour and jewelers can create 5 intricate rings in under 2 hours. The Projet 1200 prints at 30-micron layers at effective 585dpi resolution featuring micro details with unprecedented surface smoothness that only SLA technology can deliver. The ProJet 1200 is comparable in size to a coffee maker, with a 8 x 8 base and a height of 13 inches, with both LAN and USB connectivity so everyone in the office can use it. Convenient all-in-one material cartridges are quick and easy to use. The built-in UV curing station assures safe handling of the parts and locks in their mechanical properties. The VisiJet FTX Green material is ideal for casting patterns, with an ash-free burn-out as well as the necessary quality for plastic prototypes and small collectible designs. “Priced at just $4,900, the ProJet 1200 delivers what professionals and hobbyists alike have been looking for – reliability, productivity, accuracy, operational simplicity and affordability,” said Michele Marchesan, Chief Opportunity Officer, 3DS. 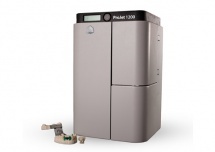 Order your ProJet 1200 now at: http://www.3dsystems.com/3d-printers/professional/projet-1200. 3D printing pioneer Avi Reichental is nostalgic for a time he never quite experienced — a time of hyper-local, made-to-order, personalized craftsmanship. While the industrial revolution did a lot to advance humanity, says Reichental, it eradicated local manufacturing that people like his grandfather, a cobbler, excelled in. It atrophied society’s craftsmanship skills. 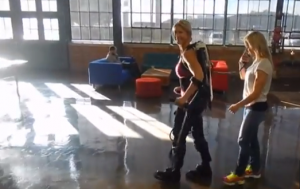 Amanda Boxtel, who is paralyzed from the waist down, could already stand and walk thanks to her exo-bionic legs and suit, but she wanted something inspired by her body, made to measure. She challenged Reichental to make something more elegant, feminine and lightweight, so he built her a beautiful suit. Amanda finally had an opportunity to regain her symmetry and her authenticity. Reichental shows custom-made 3D-printed ventilated scoliosis braces, dental restorations and in-ear hearing aides. 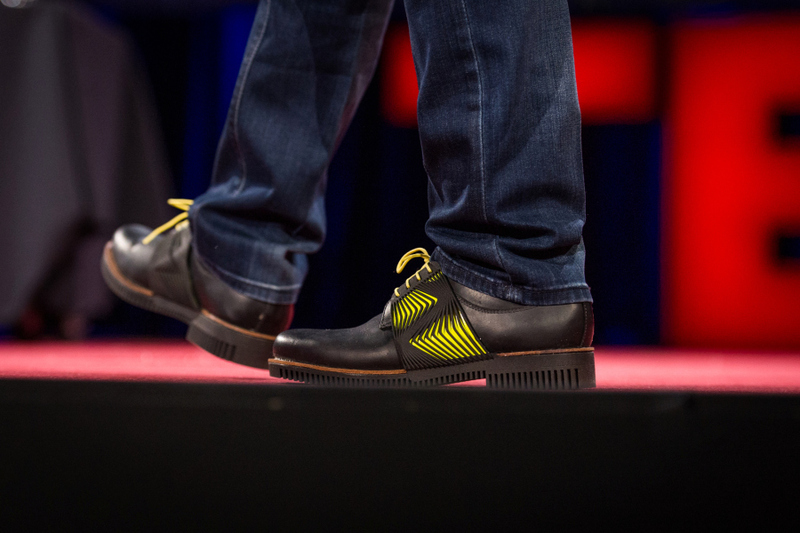 He holds up a sleek and beautiful 3D-printed brace for a leg amputee. For the first time it’s possible to print incredible (and edible!) delights, like a TED(dy) bear Reichental presents on stage. He says, “What if we could begin to put ingredients, colours, flavours in every taste?” Says Reichental, that means the promise of personalized nutrition is right around the corner. The most exciting thing about 3D printing is that complexity is free. 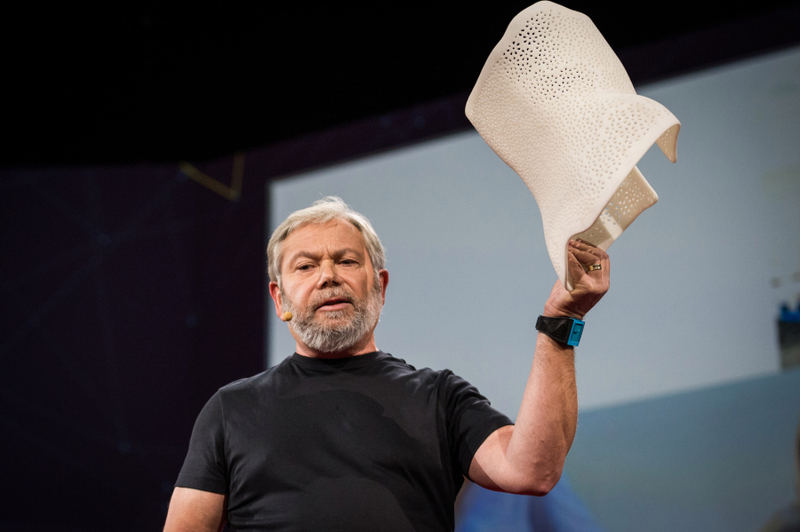 Says Reichental, “The printer doesn’t care whether it makes the most rudimentary or most complex shape.” And hopefully, it will make manufacturers out of all of us.